It’s simple to use but really powerful. It supports almost every kind of text encoded SRT file. 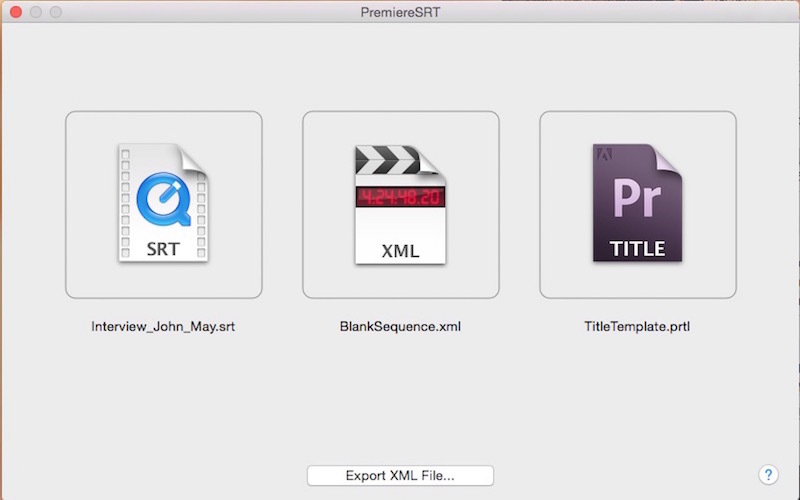 Just drop your SRT file, Premiere XML and a Title file to Premiere SRT, then export a xml with all titles for Premiere CC. –Premiere CC 2014, version 8.1 or up. –If you want to edit or create SRT files, please download SRT Edit Pro on Mac App Store. 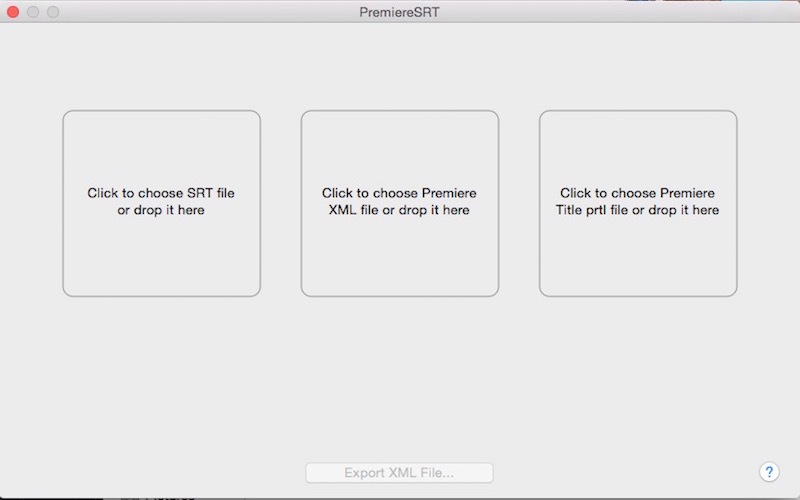 –If you want to convert different subtitle formats to SRT, please download SRT Converter on Mac App Store. 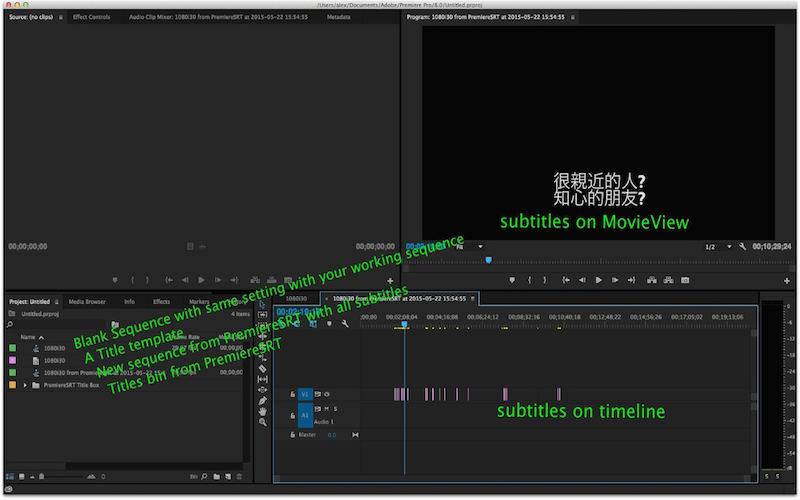 –If you want to embed SRT subtitles to mov, mp4, m4v or 3gp videos, please download Subtitle Writer. 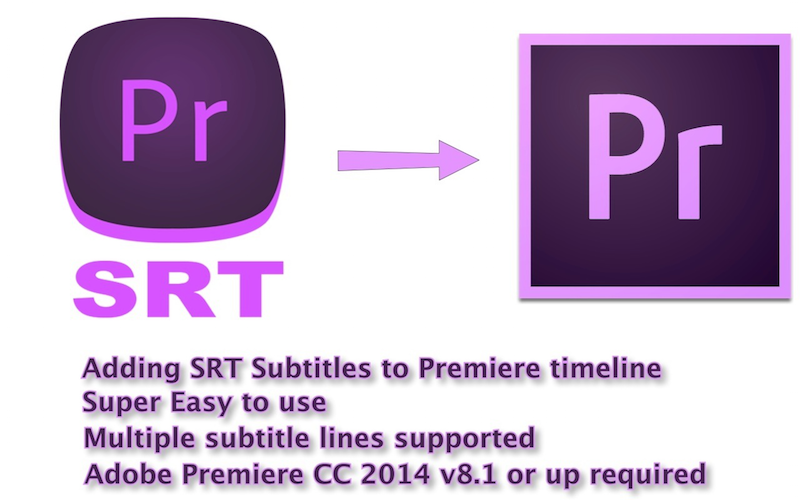 –If you want to import SRT subtitles to Final Cut Pro, please download FinalSRT on Mac App Store. This entry was posted in FinalSub News and tagged adobe, caption, captions, cc, mac, osx, pr, premiere, premire, srt, subtitle, subtitles, title, titles, xml. Bookmark the permalink.